The Truth upholds the fragrant Earth and makes the living water wet. Truth makes fire burn and the air move, makes the sun shines and all life grow. In December 2004, I was spending Christmas with my son, Toshlen Anil, at Baba’s ashram in Puttaparthi. I vaguely recall dreaming of Sai often in those days compared to the present days when Sai comes very rarely in my dreams. Possibly the reason behind this rests in the fact that after Swami left the mortal coil, I left the Sai Organization and became engulfed in the material world with all its ominous consequences. To come back to the topic of Sai Dreams, one night I dreamt that I was sitting in the Sai Kulwant Hall. My gaze was fixed on Swami. Around me, there were devotees singing Bhajans. Undisturbed I continued to look in wonderment at the Lord. All of a sudden, the whole body of Swami shrank into the size of a mini doll. I was incredulously stunned with the vision of Swami as a tiny Japanese doll! I could not find an interpretation of this crushingly beautiful dream although I enquired about its meaning from many Sai devotees, including Sri Ram Chugani, Co-coordinator for Japan, when the latter was alive and I met him at the Kobe Sai Centre in Japan in 2009. The meaning of this dream suddenly dawned upon me last night when I was talking on the phone to a business man in India. I ordered a statue of Swami from this man who is a supplier of ‘moortis’ (statues). We were in contact daily to get the minutest details about the perfect statue as I had envisioned Baba in yet another dream. The man was very patient and extremely respectful, bless him! He sent him many pictures of the statue in the cutting and fabrication process. Finally, last night he sent me by email a profile picture of the statue for my approval. I opened the mailer and I was bowled over at the sight of the statue! It was exactly like I saw Baba in my 2005 dream! A Japanese doll! Strange as it may seem, Baba monitors all the happenings in our life. I will add that even this man, the supplier of the statue, when I first met him, I told him –‘You know what? Sai Baba told me that I would meet you one fateful day and your presence in my life will be a stepping stone in my spiritual journey! This entry was posted in Aum Sri Sai Ram, Dreams, Experience of a Sai Devotee, poems and quotes, Poetry of Anita Bacha, Sai Baba, Sathya Sai Baba, Short story, Spirituality, Thought for the Day and tagged Aum Sri Sai Ram, Dreams, Poems and Quotes, Poetry of Anita Bacha, Reflections, Short Stories, Spirituality, Thought for the Day by Anita Bacha. Bookmark the permalink. What a wonderful experience! Thanks for sharing! Always follow your dream and reach your goal! Thanks Ankit Sharma! Should you be interested in the statue kindly contact me by email. 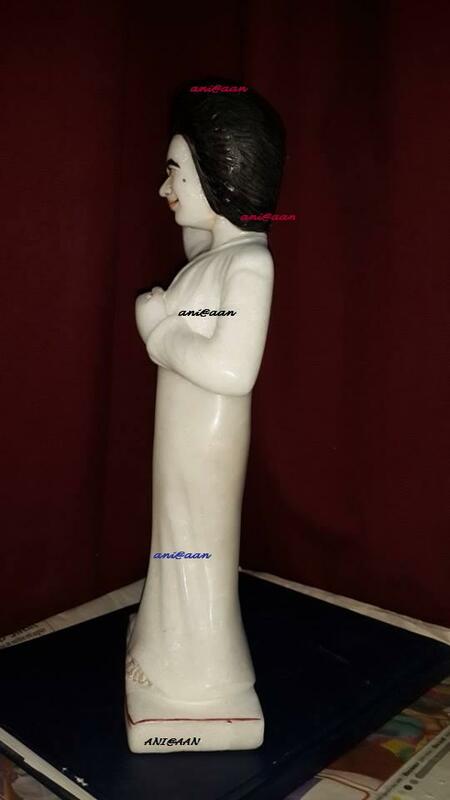 Sai Ram Anita – would love to see a picture of the statue. Thanks for sharing. Thanks for the response. Will send you more details of the statue by gmail.